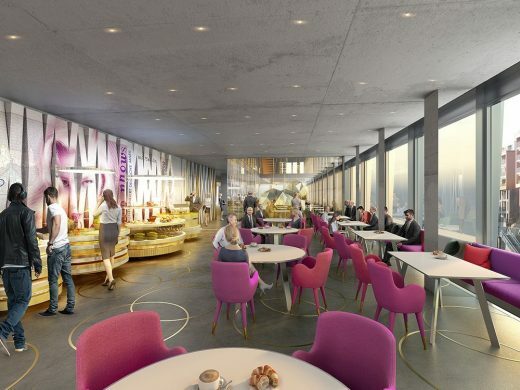 In 2021, the nhow lifestyle hotel will open in the ONE office and hotel skyscraper complex at the Frankfurter Messe. 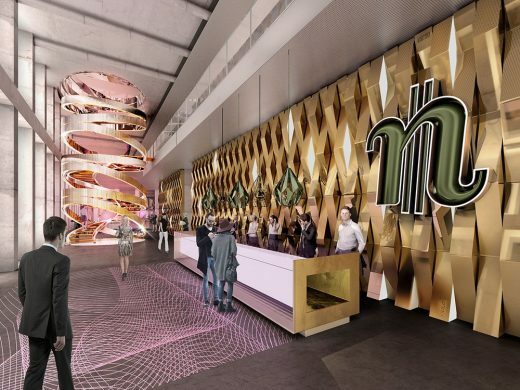 nhow Frankfurt will be the second nhow Hotel of NH Hotel Group in Germany and will offer an exceptional design concept and the highest quality facilities and service. The interior design project has been carried out by Rafael de La-Hoz Arquitectos. At the beginning of 2021, the Company will open the new nhow Frankfurt, located in one of the skyscrapers planned by CA Immo, whose interior design has been carried out by Rafael de La-Hoz Arquitectos. At 190 metres tall, the high-rise building called ONE is part of a new generation of skyscrapers. 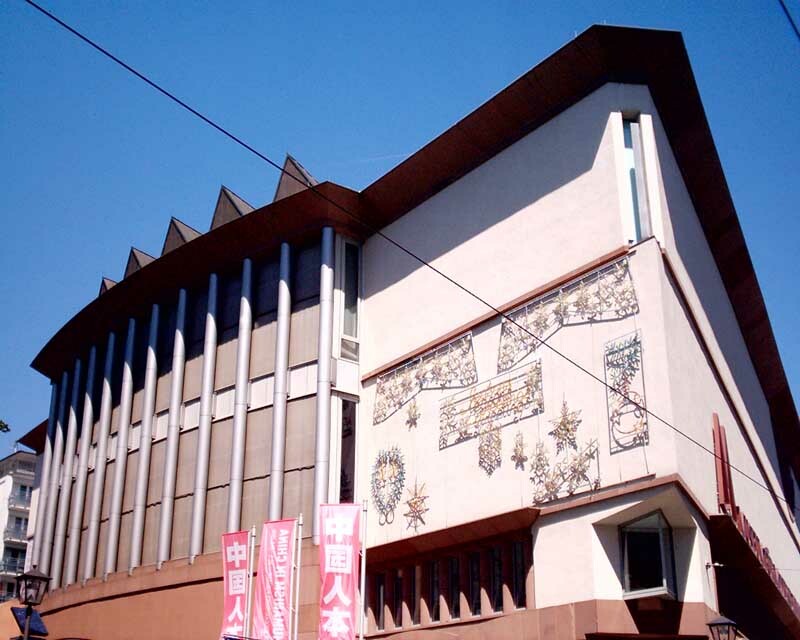 The design, with its extraordinary woven-structure façade, is the brainchild of the Frankfurt architecture firm Meurer Generalplaner. While the majority of the 49-storey ONE building is reserved for offices, the lower 14 storeys will accommodate the nhow Frankfurt. 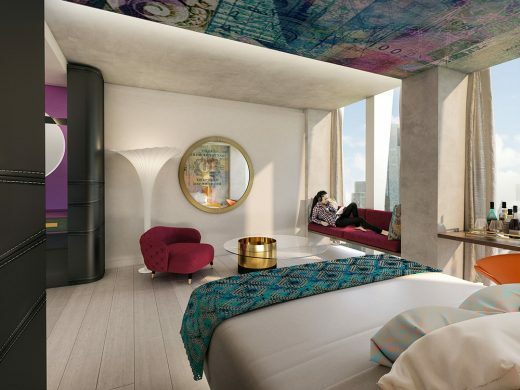 The future ‘four-star superior’ category hotel will offer 375 design rooms with exclusive facilities, such as Nespresso machines, rain effect showers, and high-tech mattresses for a perfect night’s sleep. 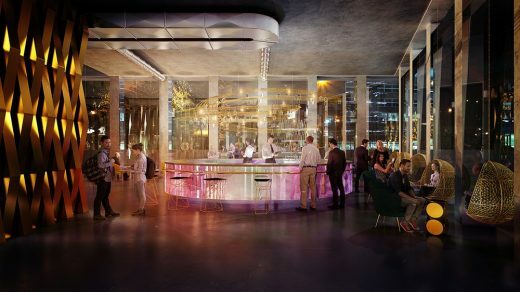 The hotel will offer a conference area that will cover more than 1,000 m², restaurant, bar and fitness areas, together with parking facilities in an adjoining underground car park. The highlight of ONE is the open-air Skybar, with its wrap-around terrace and unique view over Frankfurt and the Taunus mountains, which can also be seen from the nhow Frankfurt. “The aim was, and had to be, that the overall concept and the character of the hotel were a good fit. With the nhow, this has been really successfully achieved. The nhow brand concept completes our vision of ONE as an innovative building with contemporary mix of office space and multiple-use space”, explains Frank Nickel, the CEO of CA Immobilien Anlagen AG. 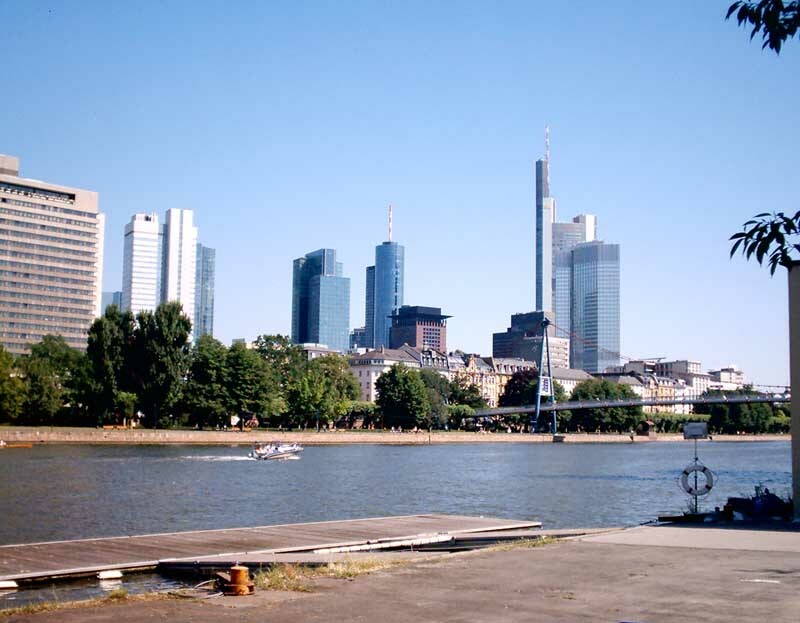 The nhow Frankfurt will be located in close proximity to the Kap Europa conference centre, the Skyline Plaza and the Messe, which is the location of the International Motor Show, the Frankfurt Book Fair and one of the largest exhibition spaces in the world. NH Hotel Group is already well established in Frankfurt, with one of its premium-brand NH Collection hotels and six NH hotels. In March, NH Hotel Group announced the construction of the NH Collection Frankfurt Messe on Güterplatz, on the corner of Mainzer Landstraße. Under the umbrella of NH Hotel Group, nhow is the chameleonic hotel brand that adapts itself to the city where it is located and is always changing. Taking its inspiration from the most avant-garde cities in the world, nhow hotels are designed by the most creative minds of the moment –Foster + Partners; OMA, founded by Rem Koolhaas; Karim Rashid; Sergei Tchoban and Matteo Thun, among others -, and are both a hotel and an explosion of inventiveness occupying one single space. At nhow hotels nothing is pre-established and everything is unexpected. Iconic, inspiring and surprising, from the hotel entrance to the rooms, the lobby, the restaurants, the corridors, the meeting rooms and the creative spaces, the experience is different for every consumer but with a common sense of “wow”. Located in key trendy urban areas undergoing transformation and change, nhow hotels become a reference point for people to meet, experience and create. As a synthesis of a new style of enjoying life, nhow brings in an up to now unseen level of hospitality and aims to become the benchmark for the most innovative cultural, social and artistic movements of big cities, globalized and constantly changing. nhow brand is already present in Milan (Italy), Berlin (Germany) and Rotterdam (The Netherlands), and is expected to continue to increase its presence over the next few years. In addition to the current nhow hotels opened and the one signed in Frankfurt, the Company has four other ongoing nhow projects, in London, Amsterdam, Marseille and Santiago de Chile.